The eulogy is an important part of the service as it celebrates the life of your loved one and the ways in which he/she has touched the lives around them. Writing and delivering the eulogy is a special task as the eulogy helps to begin the healing process for those who are left behind. The eulogy can be delivered by anyone – a family member, friend or clergy. It is best delivered by one who has known the deceased. The eulogy may even be shared with a number of people contributing words of remembrance and poetry. When you start to write the eulogy don’t feel that you need to summarize the person’sentire life. Instead you may like to adopt a theme. You may see certain themes emerging as you make your notes. A theme provides a focus for the audience to remember the deceased. If there are to be a number of people giving the eulogy at the Funeral service, consider suggesting that each speaker adopt a theme, as this avoids the potential for repetition. Examples of themes include: Bert the family man, Bert the community leader, Bert the sportsman and Bert the businessman. Arrange your notes in an order you feel flows well ensuring you have included an introduction and a conclusion. 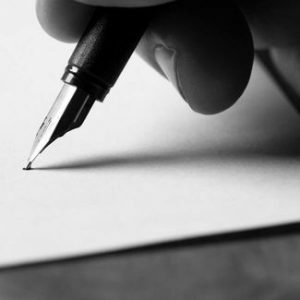 When you start to write, write as though you are speaking to a friend, making sure you always acknowledge the positive aspects of the deceased person and pay respect to them in an open, honest and caring manner. Don’t be afraid to use some humour where you think it may be appropriate. The writing of the eulogy is best done on a computer as it makes changing and editing a lot easier. It also allows you to be able to print the completed eulogy in a larger font size so it is easier to read at the Funeral service. When you have finished writing, give the completed eulogy to family members so they may read it and suggest any changes. some people find it easier to stay composed by not looking up. It is best to speak to the bereaved as though you were talking to a friend. Don’t worry or be embarrassed if you need to pause a moment to compose yourself, people will understand. Before you begin to write, you may wish to note the memories and feelings you might like to mention in the eulogy. You may wish to flip through photos, look at the deceased’s most treasured possessions and talk to family and friends to gather memories and stories.